Mightyskins are removable vinyl skins for protecting and customizing your portable devices. 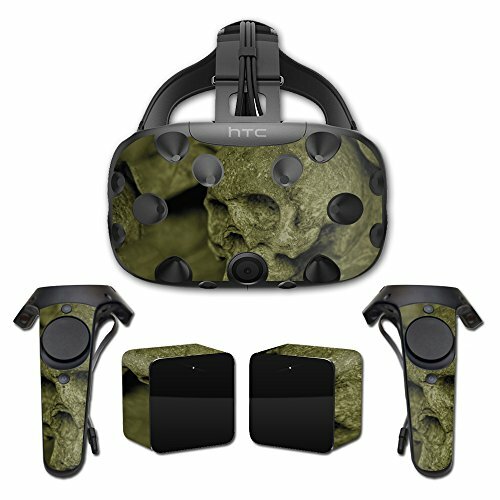 This is a decal skin that applies to your existing HTC Vive. They feature ultra high resolution designs, the perfect way to add some style and stand out from the crowd. Mightyskins have a durable matte laminate that protects from scratching, fading and peeling. With our patented adhesive technology MightySkins remove cleanly when you want to remove them or switch to another design. No sticky mess guaranteed! HTC Vive is not included.